It is no exaggeration to say that PU sole is ruling the footwear industry. Why? Because it meets the requirements of comfortable and durable materials for manufacturing of superior quality safety shoes for workplaces. The reputable work shoes suppliers in India use this sole to offer the best quality shoes. PU soles are perfect for manufacturing hard wearing shoes as these soles are abrasion and water resistant. They are light weight and come with long-term mechanical properties. Therefore, people prefer wearing shoes with PU soles when working in challenging work environments. Though earlier mainly trekking and sports shoes manufacturers used these soles for manufacturing tough shoes, business and fashion shoes manufacturers are also using these soles due to their durable and strong quality. To give you a better understanding of PU soles and the advantages of using them, here we’ve listed a few benefits that you can go through. • To clean these soles, you can use a scrubbing brush and also wash the shoes with warm water. • Let the shoes with PU soles dry in shade as direct sun or heat can damage them. • To extend the durability of your soles, rub those using fish or linseed oil from time to time. • Wear your shoes with a break to make them last longer. Also, to avoid bacterial growth, don’t forget to clean the interior of the soles from time to time. Thus, for manufacturing any kind of shoes, PU soles are the best option. 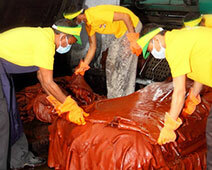 These soles help in manufacturing of shoes that are durable, comfortable and affordable. You can browse through our collection of safety footwear with PU soles to pick a pair that meets your requirements. 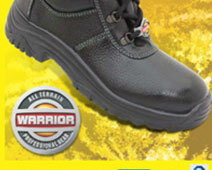 Also, for any further information about these soles or safety shoes, you can write to us.